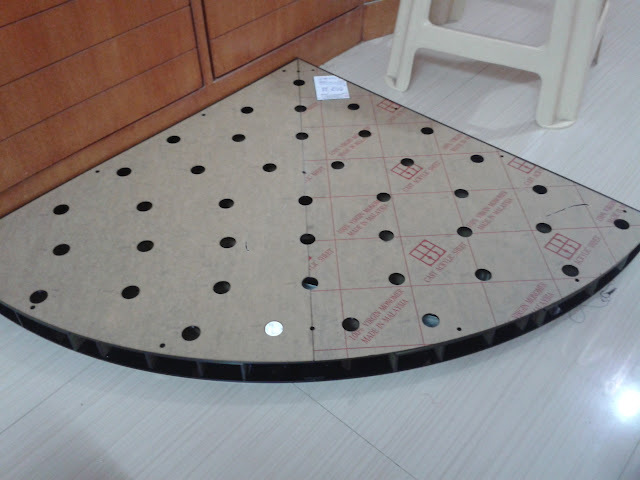 Long ago I got a tank made which is of sector shape got it done after spending a fortune for bending the glass. 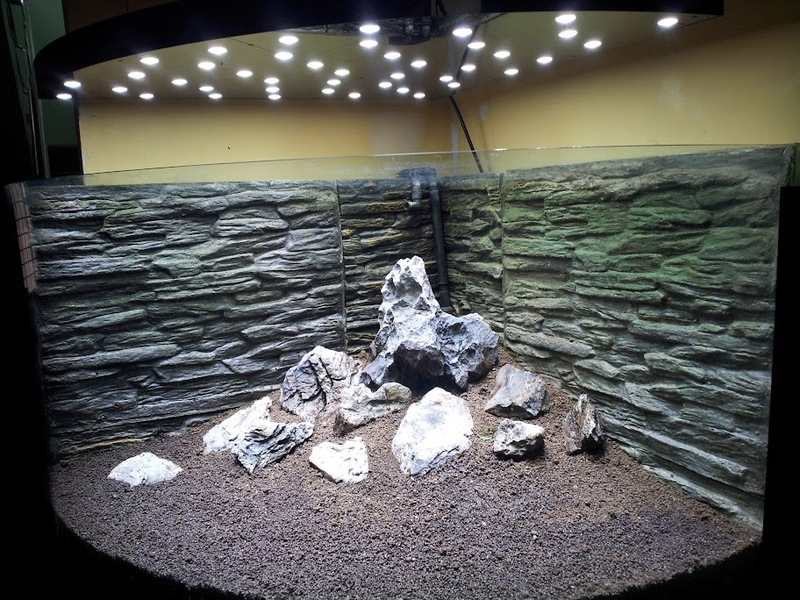 As my interest for planted tank grew I always wanted to make this a planted tank, however I faced several challenges because of the 2 foot height of this tank. The light was never good enough to reach the bottom and the plants would simply wilt away, I did manage to grow crypts and for a while stayed that way. One fine day I decided enough was enough and wanted to make a mountainish scape with HC and blyxa along with rocks. 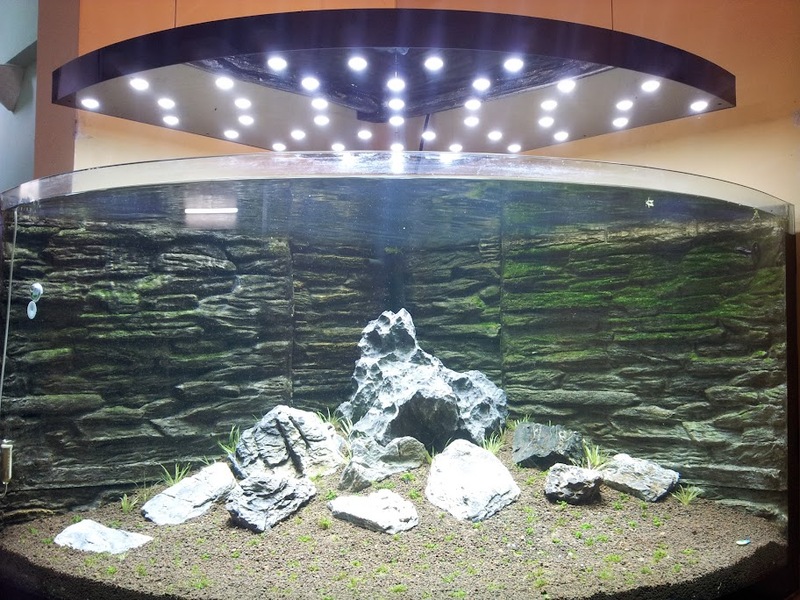 Decided to go with the LED setup and started looking around for options and luckily found THE guy "Shelly" ,loved the finish the acrylic hoods brought in and the tank being right at the entrance of my home, never wanted to compromise on the slickness.Discussed with Shelly on phone for 1hr and then we agreed upon the design. Thanks techi khan for your blyxa's they simply rock !!! Very good attempt for the layout! hood no comments - they are no doubt super. 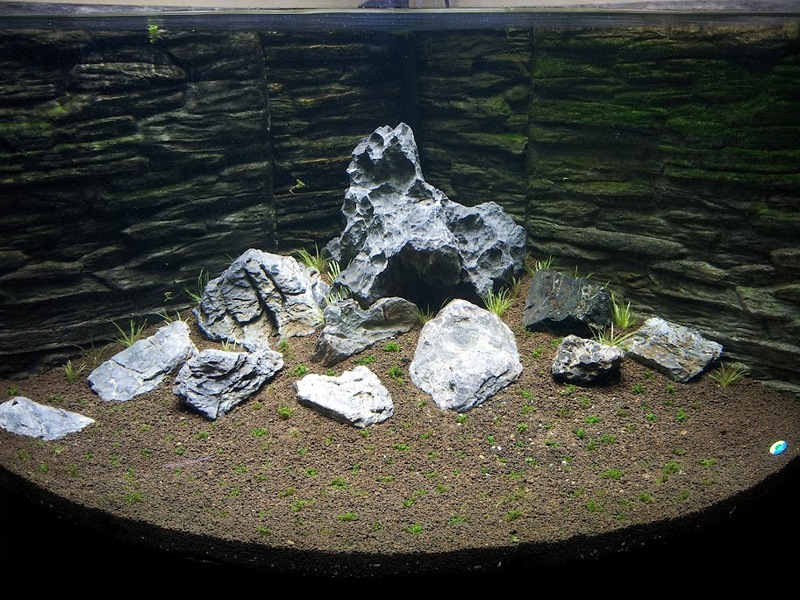 As far as the scape goes - blyxa will take over your scape in no time, if possible arrange for some larger rocks, no need to change the position, they are perfectly fine. 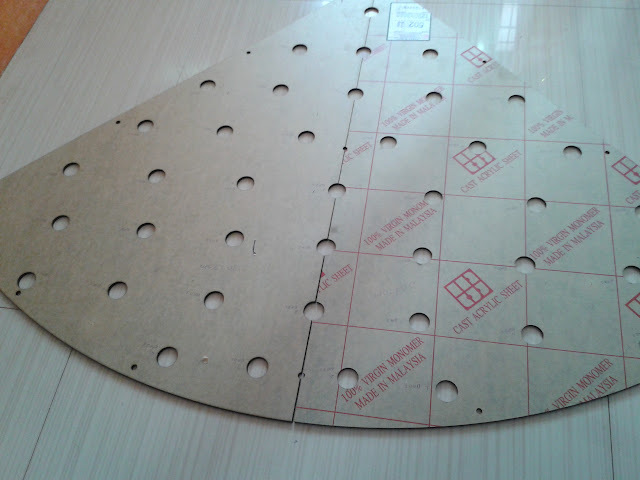 Please don't get me wrong - but the DIY BG dies not match the scape that you have come up with. Would have loved some creativity on that front as well. 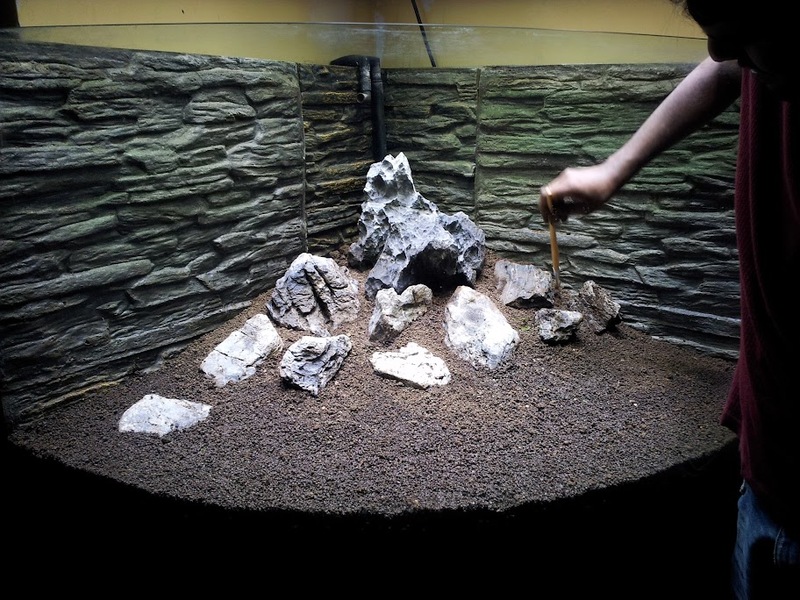 thanks abhradip for your comments, the background was there long ago when it was a regular fish tank din't want to mess up with it, But i agree that it does not go with the simplistic sense of the scape and also brings in a sense of artificialness to the nature aquarium. Will slowly get a plain background. In the front i plan to put some smaller stones but other than that nothing else as of now. Nice!.. Like the aquarium, fits in the snugly in the corner. Nice layout and nice lights too. What is the background made of? 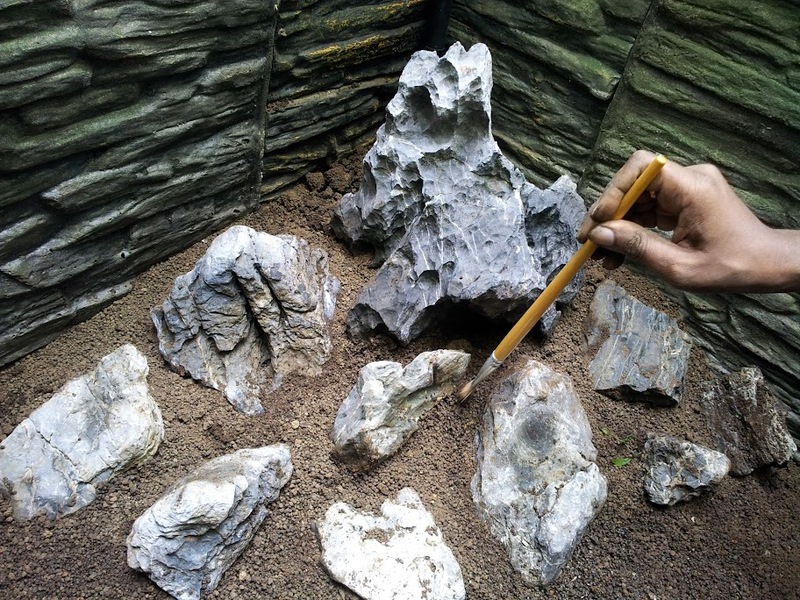 Nice one what is there looking like rock at other than front side? 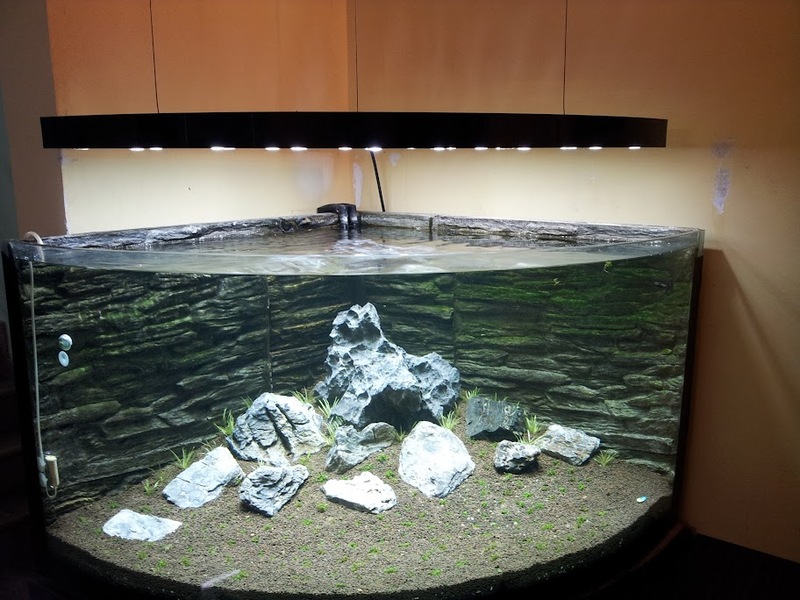 now that is a classy shaped tank and the scape does justice to it. keep us posted. will love to see how it looks once the plant grows. Thanks everyone for all the compliments, feels good. @sergio: Fishes i have not yet decided, but definitely some ammano shirmps and otocinclus. 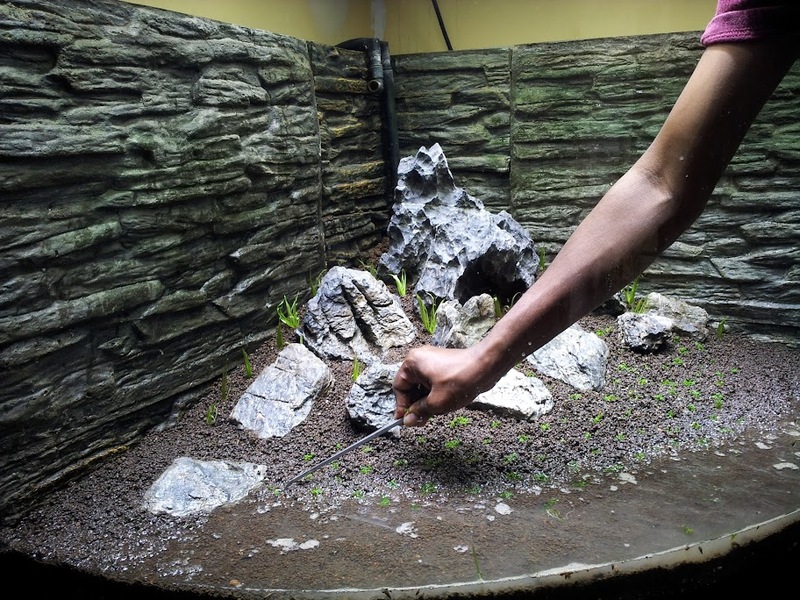 @kuna: He he thanks prashant for helping me 1.5 yrs get started on this tank, I still remember how we struggled to set the wood and the plants in it. Yup i think it was high time for the open hood.